ESA Science & Technology: Where will Rosetta be on 30 September? Where will Rosetta be on 30 September? 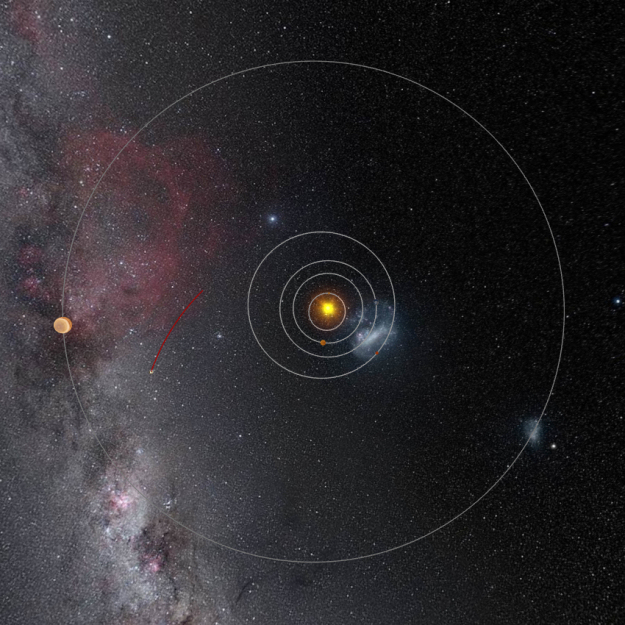 The location of Rosetta with respect to the Sun and several planets in the Solar System on 30 September 2016. On this day, Rosetta will be about 573 million km from the Sun and 720 million km from Earth. The one-way signal travel time will be about 40 minutes. In addition, from 1 October, the teams would also be facing reduced communications due to 'conjunction'. That is, the comet and spacecraft will be behind the Sun as seen from Earth – another contributing factor to concluding the mission by this time. The image is a screenshot from the Where is Rosetta? interactive tool.